Ariana Grande’s new album thank u, next is here. 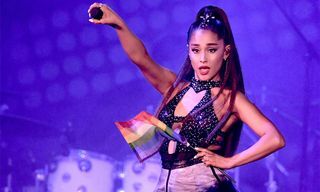 The 12-track LP includes the title track and “7 rings,” both of which previously debuted at number one on the Billboard Hot 100.
thank u, next arrives six months after Grande’s last album, Sweetener. As well as shunning capital letters, the record is said to be Grande’s darkest yet, both lyrically and musically. During the recording process, the singer enlisted the help of various longtime collaborators, including Victoria Monét, Savan Kotecha, and Tommy “TB Hits” Brown. Justin Bieber collaborator Justin Tranter was also involved, as was Nova Wav, who played a pivotal role in the recording of The Carters’ Everything Is Love last year. 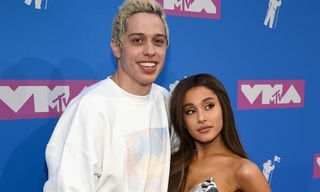 Grande has also shared the video for the song “break up with your girlfriend, i’m bored.” Watch that in the gallery above and listen to the album below. 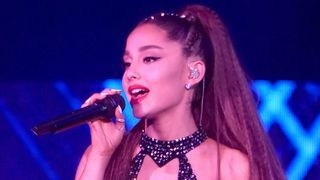 Last week, Grande also dropped a remix of “7 rings” featuring 2 Chainz.